Anthering is ideally located in the foothills of the Haunsberg Mountain just seven kilometers from the Festival City of Salzburg. Hiking paths run through the local nature preserve, along the meadows of the Salzach River and up the Haunsberg Mountain. Guests will find hiking trails for suited for families, as well as the Tauern and Mozart Trails which pass through the village on its way to the Lake District. Visitors will enjoy the beautiful herb gardens, tennis courts, a playground, beach volleyball courts, a heated open-air swimming pool, as well as numerous running and Nordic-walking trails in and around Anthering. Horse-drawn coach rides are also available. Additionally, the near-by Salzburg Lake Region offers guests a variety of water sports from which to choose. The Festival City of Salzburg features numerous cultural offerings, including many traditional folk festivals that take place throughout the year. Country inns, wine taverns, beer pubs, elegant restaurants, cafes and pubs. Romantic vacations on a farm, cozy private rooms, comfortable apartments, exceptional 3- and 4- star bed and breakfast inns, and 4-star hotels. Bergheim is located only three kilometers from the gates of the Mozart City. Visitors are pleasantly surprised by this health, leisure, and excursion resort that offers wonderful natural vistas and magnificent scenery. Bergheim offers top-quality biking trails, ten hiking, running and Nordic walking paths, an open air swimming pool and the Bergxi wellness complex. Also available are a skating rink, tennis and squash courts and the Vitarium Spa in the Hotel Gmachl, as well as nine golf courses in the immediate vicinity. The Brandboxx Salzburg/Bergheim (Fashion and Event Center) is the focal point of the fashion sector and is a modern and much sought after event location. Everything from private rooms and cozy inns to the best-equipped wellness hotel. A1 Motorway, exits "Bergheim Ost" and "Bergheim West"
Enjoy a few days of pure enjoyment just three kilometers north of Salzburg in the idyllic village of Elixhausen. Just beyond the gates of Salzburg in the adjoining lake region, guests can enjoy the beautiful Panorama Spa with its stunning views of the surrounding mountains. On festival days such as Corpus Christ or Thanksgiving, visitors are invited to admire the magnificent garments worn by of one of the oldest “golden Bonnet” groups in Salzburg. In addition to the events found in the Mozart City and at the KUFELIX Center, visitors to Elixhausen can enjoy traditional festivals such as the Maypole Festival, the local parish fair and the Harvest Festival. Enjoy a wellness vacation, a day-spa, yoga classes, marked Nordic walking, running and biking trails, as well as tennis, golf, free swimming with the local Seeland Card, as well as cross country skiing in the winter. Racing bikes, trekking bikes and E-bikes are available for rent. On the Via Culinaria guests can enjoy the award-winning gourmet restaurant GMACHL with its Austrian cuisine, as well as a country butch shop that produces its own sausage and meats. Guests can chose from a 4-star superior, romantic wellness hotel to private rooms in a farmhouse. Just south of the city of Salzburg is the small village of Elsbethen. Located at the foot of the gentle-sloping Gaisberg Mountain, Elsbethen is the idyllic spot to experience nature and culture in unforgettable ways. The Elsbethen town museum is a place where tradition lives. The museum features an authentic schnapps distillery, a backing oven, a wood turnery, a complete laundry washing station and numerous devices. Handicraft demonstrations are also a part of the museum’s program. Each year the museum hosts an Oktoberfest on the first Sunday in October. 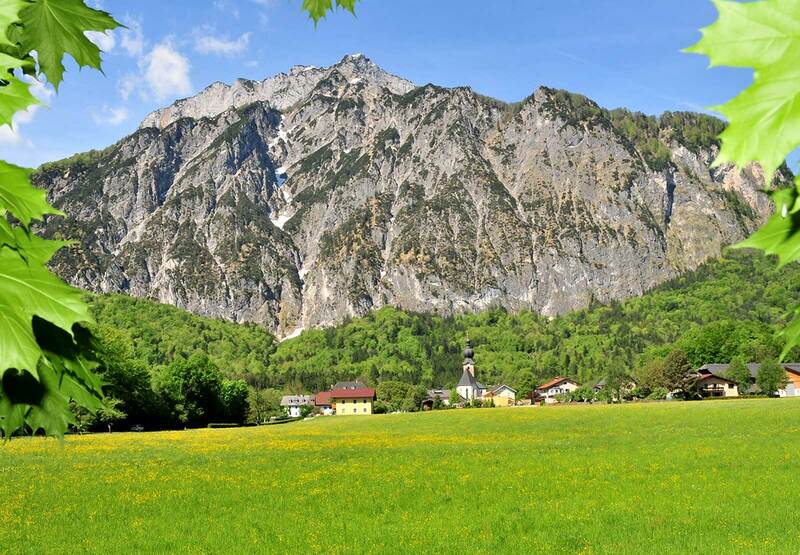 Elsbethen also offers marked hiking trails suitable for Nordic walking, biking along the Tauernweg Trail and hiking through the Glasenbach and the Trocken Gorges. Seven traditional Austrian inns, an Italian/Mexican restaurant, a pizzeria, pub, bistro and cafe. Country inns located in the valley and on the mountain, as well as vacation rentals. Eugendorf is located directly next to the highway exit Wallersee-Eugendorf and is an ideal starting point for excursions and day-trips to the nearby Salzburg Lake District. Eugendorf boasts 15 golf courses in the immediate vicinity, as well as bike tours for families and street racers. Additionally, guests will find hiking and running paths, horseback riding, several lakes suited for bathing, bowling alleys, cross country ski trails and the Eugendorf ski lift. Easy access to various ski regions and to several thermal and wellness oases make Eugendorf perfect for those seeking an active vacation. 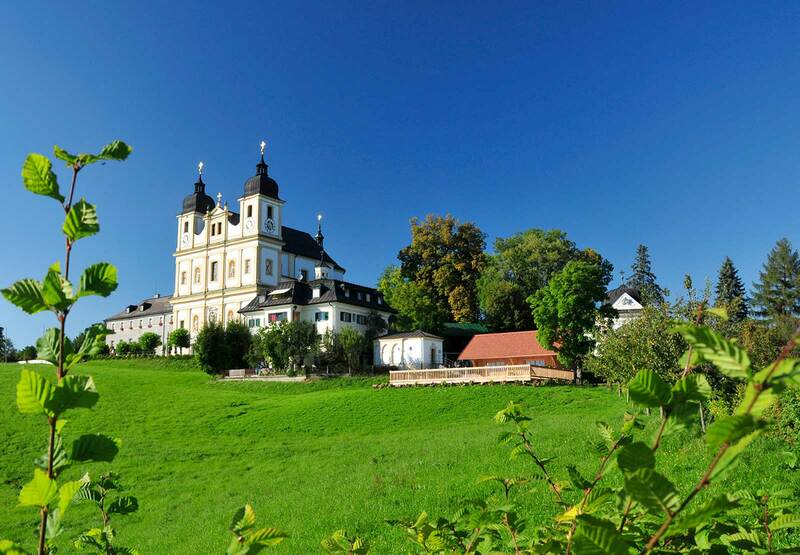 Eugendorf is perfect for enjoying the culture and attractions of the Mozart City and the magnificent Lake District. Eugendorf’s nine innkeepers have created the Kulinarium Eugendorf program designed to provide guests with an unforgettable culinary experience. Eugendorf offers all varieties of accommodations from seminar-, golf-, biking- and wellness hotels, to cozy private rooms. Located in the heart of the Vacation Triangle (Salzburg – Bad Reichenhall – Berchtesgaden), Großgmain is close to city of Salzburg and directly on the border with Bavaria. One of the oldest pilgrimage churches along the St. Jakobsweg Trail is the pilgrimage church of the Virgin Mary in Großgmain. Großgmain is also home to the Salzburg Open Air Museum with its 100 original historic constructions related to agriculture, handicrafts, textiles and industry. The Plainburg fortress, the ancestral home of the Margraves of Plain and symbol of the village, is one of the oldest fortress ruins in Austria. From its ruins, visitors can enjoy a stunning view of Großgmain and of the surrounding mountains. Come and experience Großgmain for yourself! Enjoy the natural beauty in and around Großgmain which is ideal for hiking, Nordic walking or biking. The area around the Untersberg Mountain was the first region to be declared a nature reserve. Visitors are invited to have a little fun along the Forest-Quiz Trail! Enjoy the rich variety of Austrian cuisine, including both hot and cold dishes, outstanding wines, light snacks and legendary desserts. Großgmain’s chefs cordially invite you to take a culinary tour of their beautiful village. Großgmain offers every category of accommodations from cozy rooms in a farmhouse to meticulously maintained 3-star hotels. Grödig is well-known for tradition and hospitality! Located just eight kilometers from the center of Salzburg and 14 kilometers from Berchtesgaden, Grödig is easily reached from the Salzburg-Süd highway exit. Visitors can reach the summit of the Untersberg (1,850 meters) by foot in three to four hours, or by cable car if they wish. From atop the mountain, guests can enjoy the magnificent panorama, the mountain-top hiking trails and the Alpine shelter huts which serve food. From the summit visitors can also reach a series of ice caves in about two hours. Grödig has over 30 kilometers of marked paths for hiking and biking, local bike rental, Nordic walking trails (flat and with an incline) and guided tours. Additionally, visitors can visit the shooting range in nearby Halle, attempt the large tree-top rope course or take in 9-holes at the golf course in Rif. Other options include a swim in Lake Anif, a visit to the Radio Museum in Grödig or to the Untersberg Museum in Fürstenbrunn with its marble mill. During the winter, guests can the ski the many trails on the Untersberg. The Christmas Market in St. Leonhard with its many scheduled every weekend during the Advent season is also very popular. Grödig’s chefs are well-known for their regional and diverse offerings. Culinary venues in Grödig range from cozy inns to specialty restaurants and cafes. Grödig offers accommodations ranging from 4-star-hotels, bed and breakfast inns and small hotels, to farmhouses and private rooms. Located only five kilometers from Salzburg, the small village of Hallwang is known for its rural charm and for the many choices it offers guests. Guests are drawn to Hallwang because of its proximity to the Festival City of Salzburg and because of Hallwang’s many seasonal festivals like the traditional Waldfest, or Forrest Festival. Visitors can enjoy biking along the Ischlerbahnstrasse Trail, hiking on the Dax Lueg or along the Fischach River. Hallwang offers an assortment of restaurants ranging from typical village locales to outdoor restaurants and first-class inns, each offering regional products. Hallwang also has cafes, a pizzeria, a wine tavern, trendy night spots and a Biergarten. Accommodations are available in every category from rooms in a farmhouse to multi-star hotels. Wals-Siezenheim is located about six kilometers west of Salzburg – the Mozart City, and can be reached from the Salzburg-West/Wals-Lofer and Kleßheim highway exits. The Kleßheim Palace was built in the baroque- style between 1700 and 1709 by Fischer von Erlach. Today it houses a casino. Other local sites well worth a visit include the legendary Walserfeld pear tree and the memorial commemorating the 1800 Battle of Walserfeld. Wals-Siezenheim offers guests marked hiking trails along the Saalach River and the Goiser Marsh. Also located in Wals-Siezenheim are a variety of trails along the base of the fabled Untersberg Mountain, the Tauern Bike Trail, the Bachschmied Museum and Culture Center, and the Salzburg Designer Outlet with approximately 100 shops featuring more than 100 designer labels. Local dining choices include: inns featuring local cuisine; Italian, Chinese, Mexican and Japanese restaurants; coffee houses; wine taverns; bars; dance clubs; a casino in the Kleßheim Palace, the Entertainment Center and the Cineplexx movie theaters. Range from 4-star hotels to vacation rentals in farmhouses.